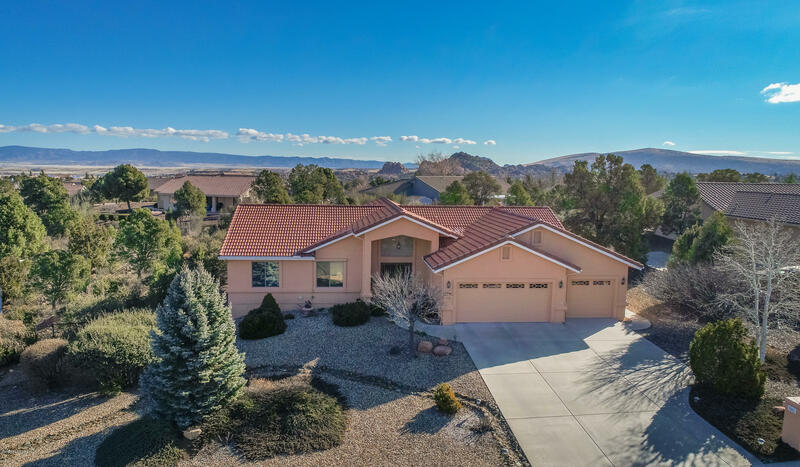 A PICTURE OF GOOD TASTE & STYLE in this sought-after neighborhood of Pinon Oaks. This contemporary home embraces the desirable single level living. Featuring a 4 bedroom split floor-plan with a generous area that accommodates the kitchen, dining & family room. The focal point being a dual sided fireplace that calls your attention to the inviting back patio complete with pergola. The master suite is spacious with access to patio, walk-in shower and separate garden tub. This home resides on a .41 acre parcel that boasts a multitude of well-designed, low-maintenance gardens. The 3 car garage completes the package! Get your finances ready, this one won't last.